Cleo,short for cleopatra is Looking for A Foster home or a forever home to grow up safe and to be treated like a princess! 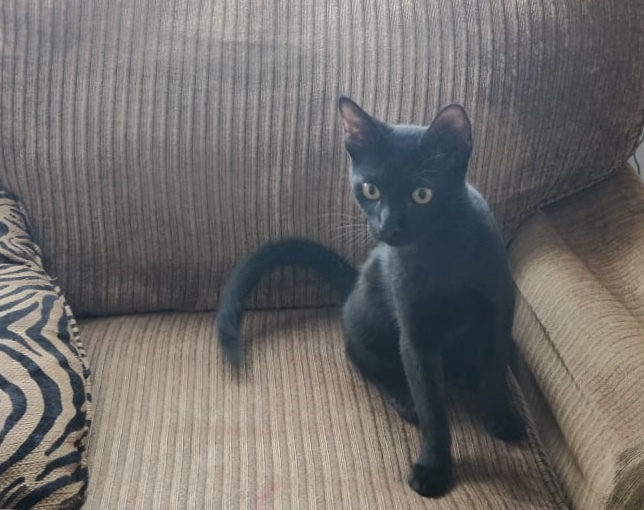 She is affectionate friendly love her food and love to play like any other 5 month old kitten. She has had a full health check up ,Dewormed and microchipped with had her first vaccinations. Contact her fosters via whatsapp +971553112977 or drop an email with your contact details to Shanakaiz@gmail.com to fill up an adoption application.